What a cool watch! 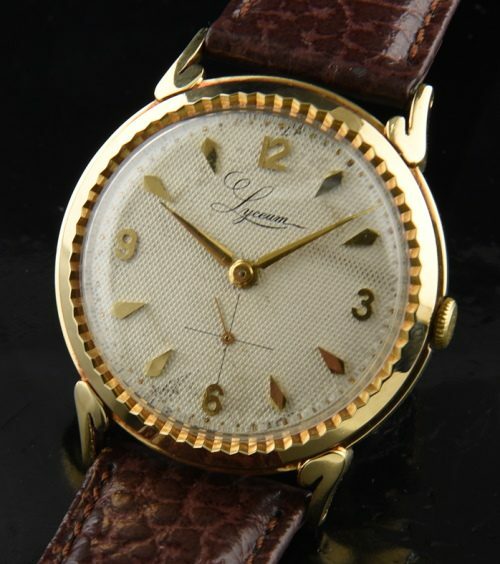 This Lyceum 1950’s watch exemplifies the flair of the 50’s. The original honeycomb dial looks better in person. I really like the raised Arabic numerals and kite markers. Look at these cool lugs and scalloped bezel! The manual winding SWISS movement is also signed LYCEUM-just cleaned and is running accurately. 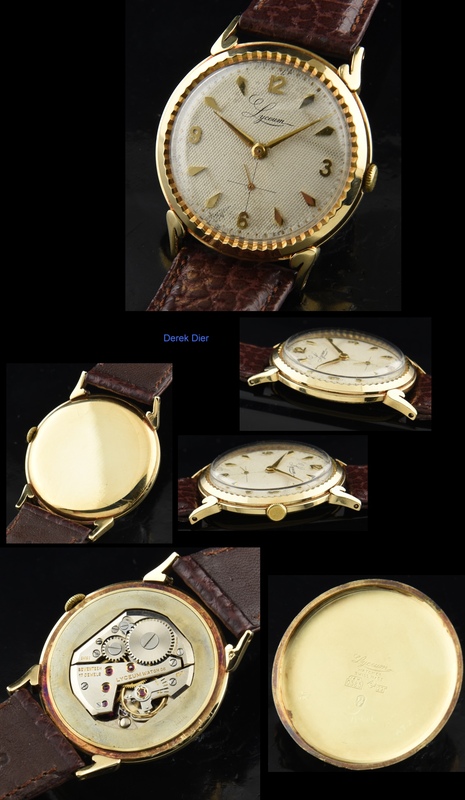 The case is solid gold, measuring 33mm. and in very good shape. This is a unique looking and eye-catching watch.